With less than a year to go, excitement over what could be one of the largest gathering of 12mR yachts is building. The Ida Lewis Yacht Club is already up and running with its preparations for the Worlds. The Race Committee has been running all the major 12mR events in Newport for the past five years. The Regatta Committee will be assigning a host family to each visiting team. The host family will assist you with the day to day logistics of living in Newport. They are also forming a Marine Logistics Committee to assist with any boat needs. On the social side, planning is well under way for the welcoming and prize giving parties. Direction of the 12 mR Gala has been placed in the able and experienced hands of Kate Gubelmann. The Gubelmann family has a long history with the 12 mR Class, and, Jimmy Gubelman is the Commodore of the 12 mR Yacht Club. The dates and the schedule are set. The 2019 12mR Worlds are scheduled for July 8-13, 2019. As many of you know, your World’s Committee has been working on developing the logistical resources to assist and support you for your trip to and in Newport next summer. We are very pleased to announce that SevenStar, the world’s leading supplier of yacht transport services on a lift on lift off basis has joined us as our Yacht Transport Partner. The Hinckley Company, operator of one of the largest full service marinas in Narragansett Bay (and the home to most of the Newport 12s) has made an attractive proposal to provide dockage (both in the water or on the hard)and storage for support boats and containers, as well as general yacht services for all the visiting 12s. The Hinkley facility is approximately 6NM north of Newport’s outer harbor. We are also working on dockage at a close hotel (Gurney’s on Goat Island). Unfortunately, it will be a couple of months before we know what, if anything, they are prepared to do. In addition, the Gurney’s marina, while very convenient to the hotel and downtown Newport, does not have any place for containers or close in trailers. SailNewport, the operator of the Ft. Adams marina, has provided an attractive proposal for dockage of the whole Worlds fleet during the World Championship. We are anticipating erecting a regatta tent at the docks for the Worlds. (In addition, they have agreed to extend their preferential rate on a first-come, first-served basis for dockage during the NYYC’s 175th Anniversary Regatta, which immediately follows the Worlds – July 15-20). Newport is a very popular summer resort; and, as such, housing, particularly for a group as large as our, is always a challenge. To that end, we have made arrangements with a number of prominent real estate companies to provide you with a broad range of alternatives, as well as staff to work on your specific requirements. We will be forwarding to you within the next few days information and proposals from the Gower & Company and Gustav White Sotheby’s International Realty. 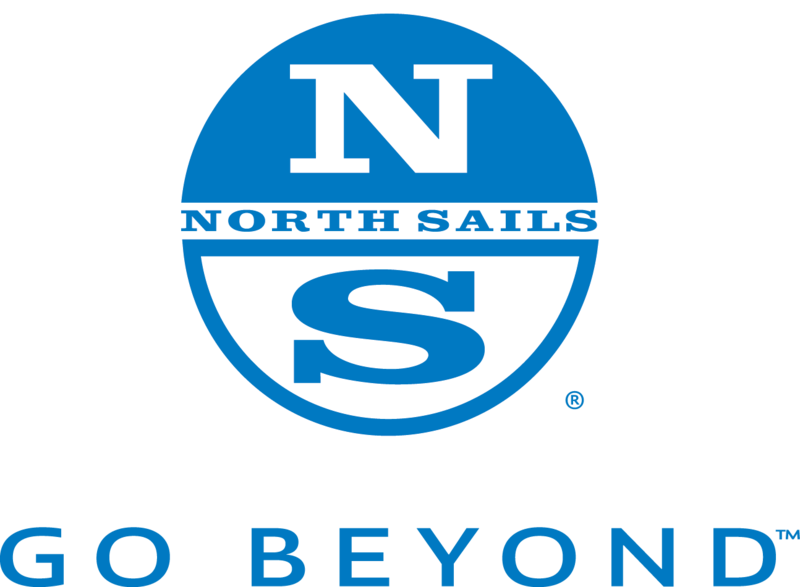 Both these organizations not only know the Newport area, but have extensive experience with housing sailing teams. In addition, we have a proposal from Roger Williams University for a group of two bedroom apartments located in Bristol, RI (home of the America’s Cup Hall of Fame and the Herreshoff Marine Museum). Bristol is 17 miles north of Newport (a 35 minute drive in the summer) and 6 miles north of the Hinckley Marina (17 minute drive). These apartments serve as a dormitory during the school year. There are enough units to house a number of crews or crew families, and the price is very attractive. An open regatta that the America’s 12mR fleet typically participates in. The NYYC usually gives the 12mR’s starts by division. Boats wishing to participate in the Annual Regatta will need consult NYYC’s web site, and register when the event page becomes active. Edgartown the famous resort seaport located on Martha’s Vineyard Island. Edgartown is approximately a 45 NM sail from Newport. EYC has hosted a 12mR regatta for many years. Their hospitality is great and they have good racing. EYC provide dockage as part of their regatta fees. A two day, 12mR only event on the Worlds race courses. Cocktail reception at Ida Lewis YC. Pre-Registration will be set up on the World’s Web site. Immediately following the World Championships, the New York Yacht Club is hosting their 175th Anniversary Regatta and the 12mR Jubilee, July 15-20. All 12mR Yacht have been invited to participate. For additional details and registration, please refer to the New York Yacht Club’s web site. Please be aware that while dockage at Ft. Adams for the Worlds will be part of the registration package, dockage for the NYYC 175th is on a first come basis and must be booked directly with Sail Newport. Sail Newport recommends that if you want to remain at Ft. Adams for the 175th, you book your space sooner rather than later. It is our understanding that many of the boats will be returning to Europe immediately after the NYYC’s 175th Regatta. However, for those of you considering staying longer, I want to assure you that if you do you will have plenty of opportunity to sail, cruise and race in and around New England in general and Newport in particular. The Panerai Classic Yacht Challenge offers an opportunity to race throughout August, beginning in the fabled sailing town of Marblehead, MA in the Corinthian Classic. That is followed a week later by two events on Nantucket Island, the two day Nantucket Regatta and the famous one day Opera House Cup (the US Traditional Division boats typically participate). One week later the Classic yachting fleet returns to Narragansett Bay for the two day Herreshoff Classic Yacht Regatta in Bristol, RI,, followed immediately by the Panerai Newport Classic Yacht Regatta headquartered at the IYRS School of Technology & Trades in downtown Newport. In addition to the Classic Yacht circuit, there are a number of middle distance race events, including the Ida Lewis Distance Race (‘ILDR”) August 16 & 17. The ILDR is a 150 NM overnight race that starts and finishes off of Ida Lewis Yacht Club. In September there are a number of local short distance races (18 milers)and a number of multiple weekend race series in Long Island Sound e.g. American Yacht Club Fall Series. If you are interested in staying, and racing, let us know and we will link you up with the right people and organizations. The 2019 12mR Worlds will be a great event, and it can be one of the greatest gathering of 12s ever; but only if you and your team come to Newport. Your officers and the ITMA team have been working hard to make the logistics of your trip and stay as easy and efficient as possible. We have lined up the best resources and experts to assist you. The Ida Lewis Yacht Club and its members stand ready to help make Newport your home away from home. Over the next few months we will be sending you additional information about the plans and arrangements for 2019. We expect to have a Notice of Race posted within the next two months along with a registration site on the Worlds web site. If you have any questions, or particular requirements, or if there is anything we can do to make your decision to join us in Newport easier, please let Patrick Howaldt (ITMA V.P. North Europe Fleet), Luigi Lang (ITMA V.P. South Europe Fleet) or me know. It is with great excitement that we anticipate welcoming the European 12mR fleets to Newport, for the 2019 World Championship! In 2013, when first appointed 12MYC Commodore, my goal –in keeping with the mission* of our new not-for-profit organization– was to re-invigorate our then-dwindling local 12mR fleet… read more.